The Patna special investigation team has found the involvement of two more NGOs in the Rs 15-crore toilet construction scam. PATNA: The Patna special investigation team (SIT) has found the involvement of two more NGOs in the Rs 15-crore toilet construction scam. The team has also detected that the scam is not just limited to Patna but has happened in at least two more districts in Bihar. The SIT officials on Saturday named two other NGOs — Aryabhatt Vikas Seva Sansthan and Buddha Utthan Gramin Samiti Parivartan Sansthan — as beneficiaries of the fraud which, they said, was perpetrated in “active collusion” of officials of several banks. So far at least six NGOs have been found being involved in siphoning off governments funds meant for construction of toilets in the state capital. The SIT has ordered freezing of the NGOs’ bank accounts. 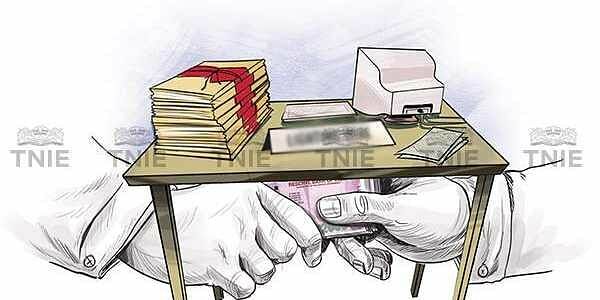 Sources in the SIT said financial fraud of a similar nature has been detected in Bhojpur district. “In preliminary findings, it has been noticed that Rs 12 lakh was paid to an NGO after it claimed to have constructed only five toilets in Shahpur in Bhojpur district,” said an SIT official, declining to reveal more information. “We have so far detected similar scams in the name of toilet construction in two other districts apart from in Patna. We are working on information that the scam took place in a few other districts,” said the official. Rashtriya Janata Dal (RJD) chief Lalu Prasad Yadav had demanded the government should set up inquiries in all the 38 districts of Bihar as the total scam value, he said, could be “hundreds of crores of rupees”. The toilet scam was brought to light by Patna DM Sanjay Agrawal, last week. On Friday, the SIT arrested three persons, including an employee of the public health engineering department (PHED). Shiv Shanka, a deputy general manager of State Bank of India, in Buxar was arrested on Thursday.